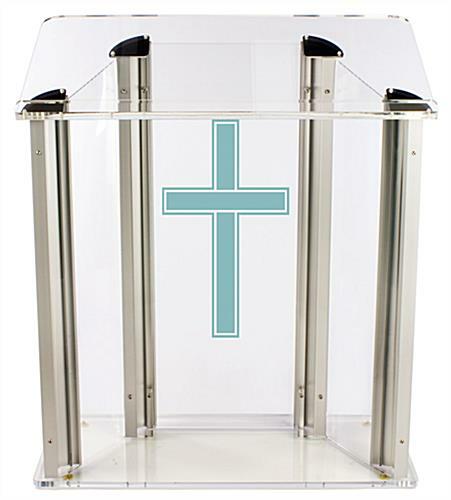 This extra wide church lectern with printed cross has a stylish, modern design that will command audience attention in any environment. 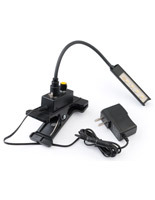 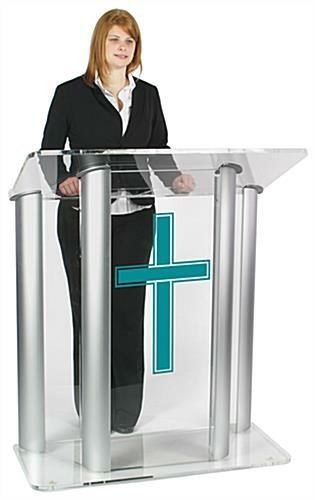 The speaker stand's 42" top platform features an extra-deep book stop, making it an ideal choice for readings, sermons, or speeches. 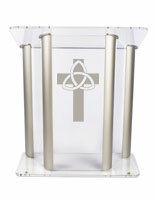 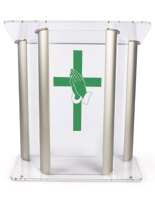 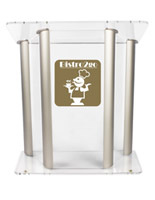 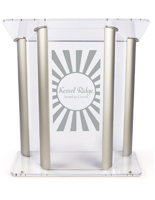 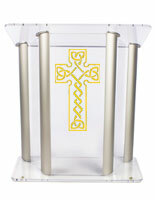 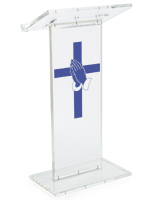 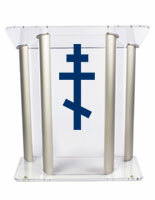 Each wide church lectern with printed cross is made of durable clear acrylic, with silver finish aluminum support posts. 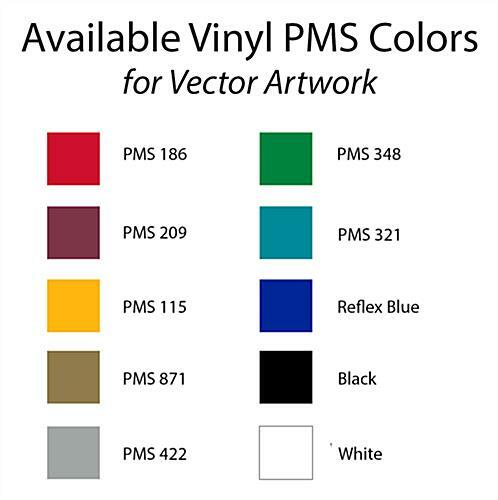 A choice of ten vinyl colors is available for custom printing the front panel decoration. 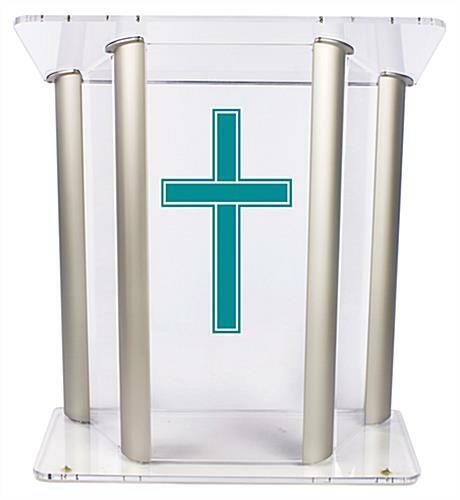 This contemporary church lectern with printed cross is a superior choice for creating a modern pulpit area that draws the attention of congregants and sermon attendees. 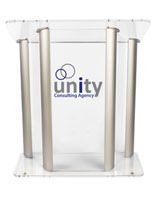 Each acrylic speaker's stand with vinyl custom printing ships fully pre-assembled and arrives ready to use.